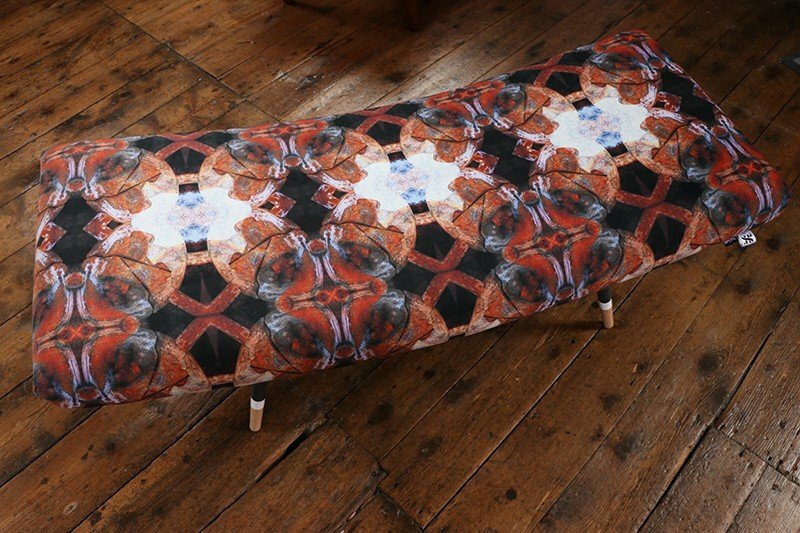 Having recently completed a course introducing me to the world of surface pattern design. 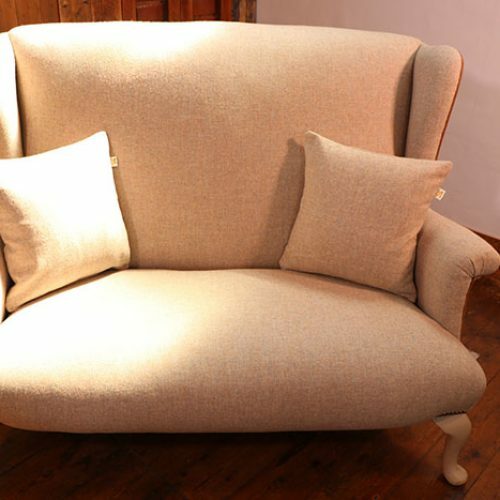 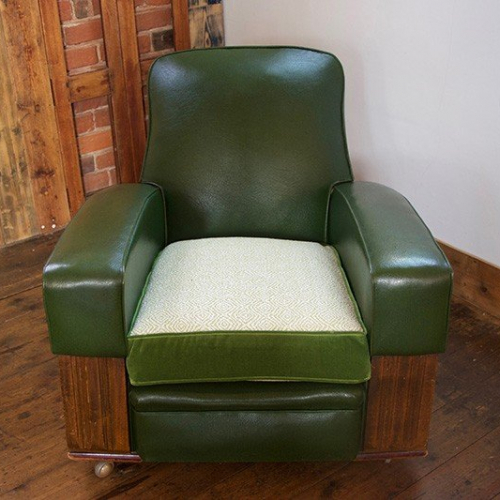 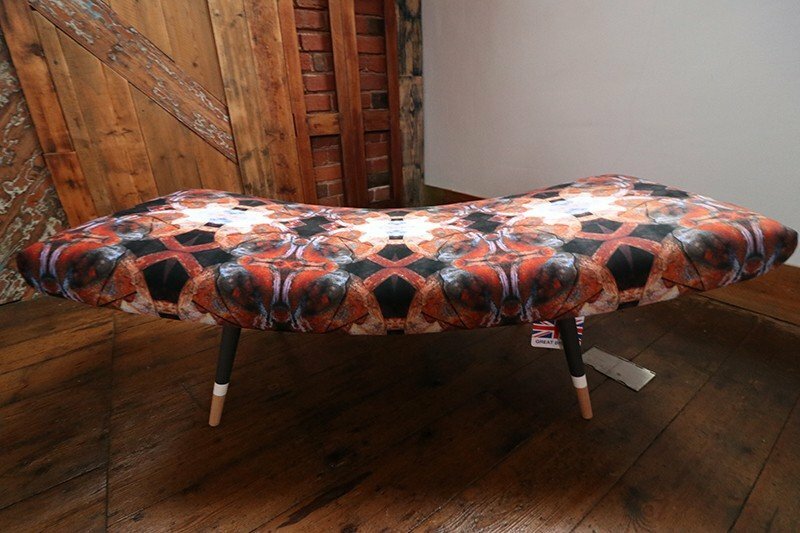 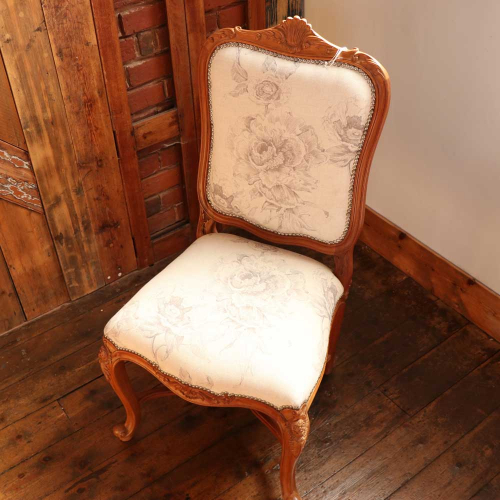 I have designed the fabric and upholstered this beautiful stofa. 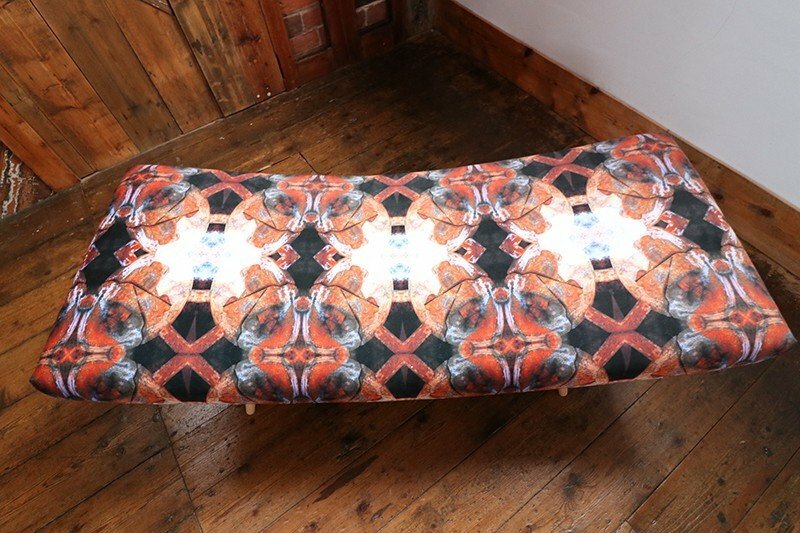 The stofa design is a mix of sofa, bench and stool. 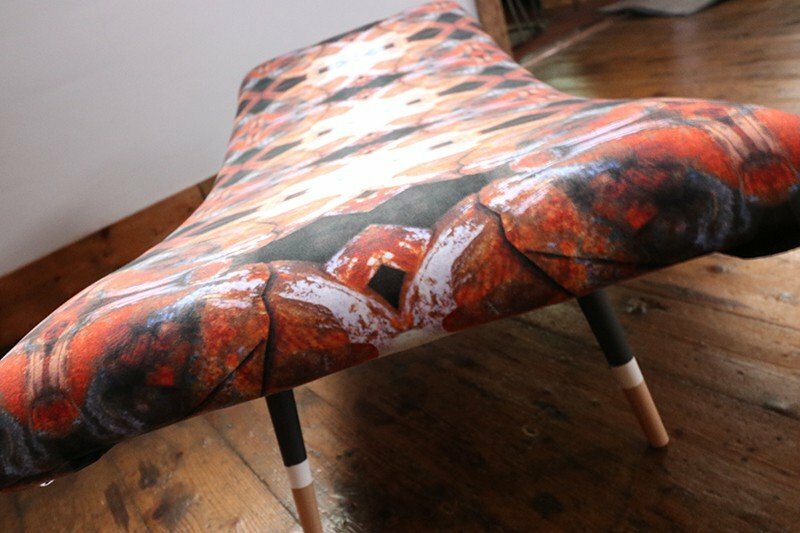 This is definitely a unique, statement piece which would look perfect in your living room, hallway or bedroom. 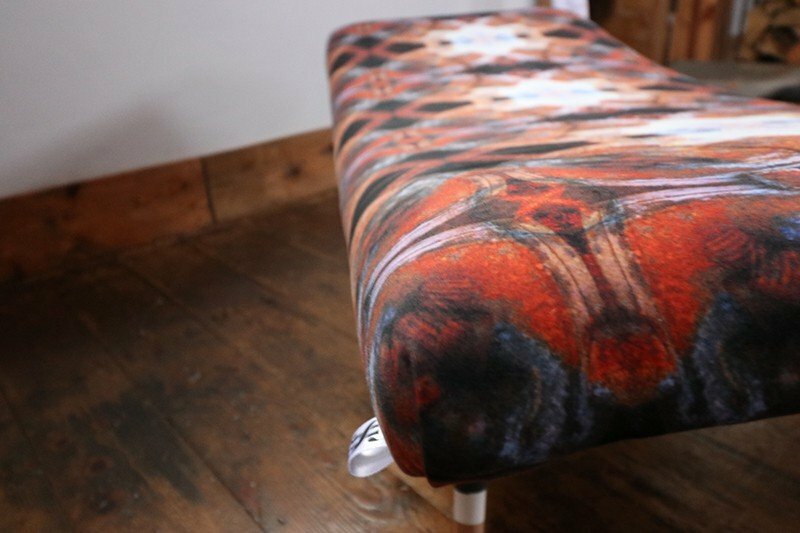 The pattern design is inspired by my love of industrial design, part of the design captures an industrial wheel with colour accents of orange, black, blue and white. 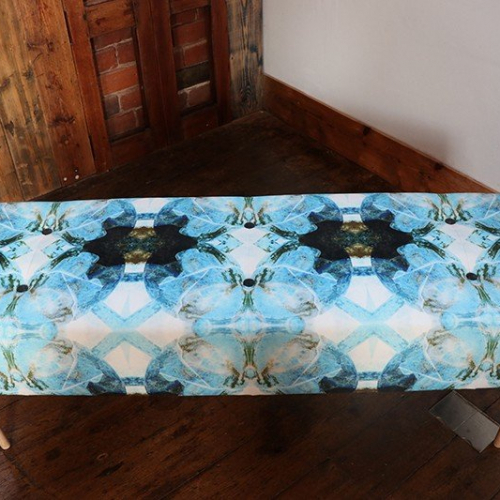 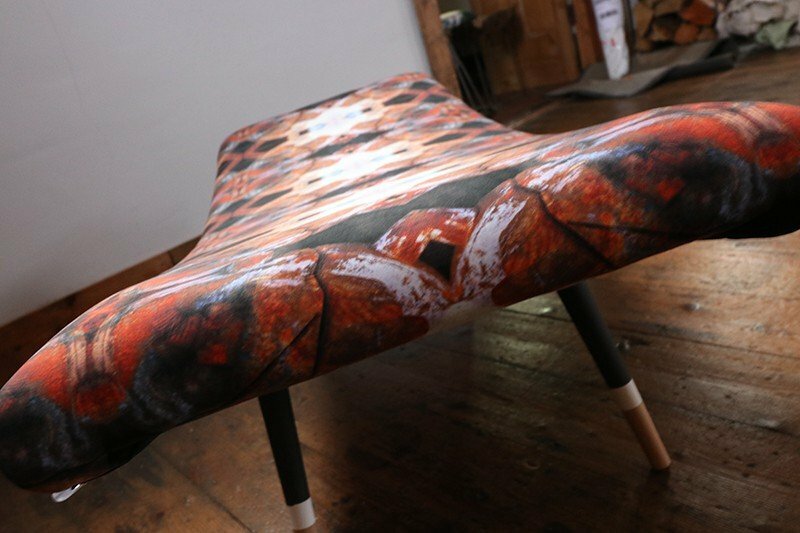 Click here to find out more about how the fabric was designed and printed. 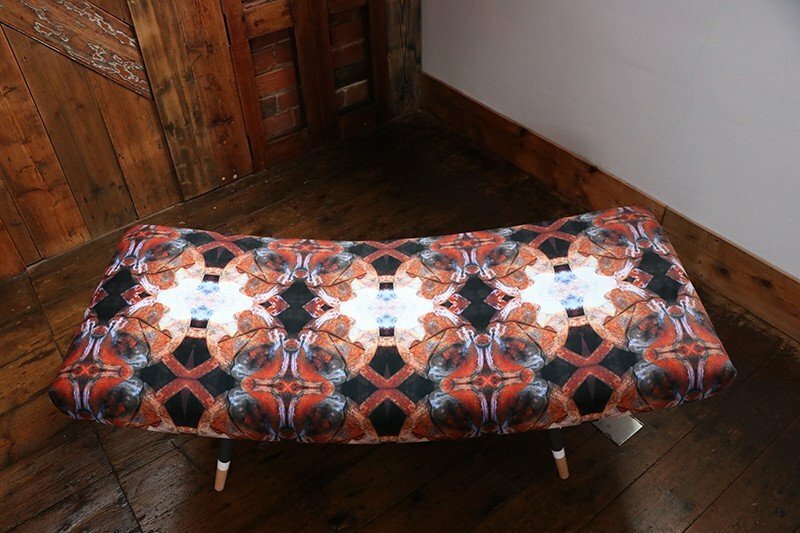 It has been digitally printed on to a luxuriously soft velvet fabric. 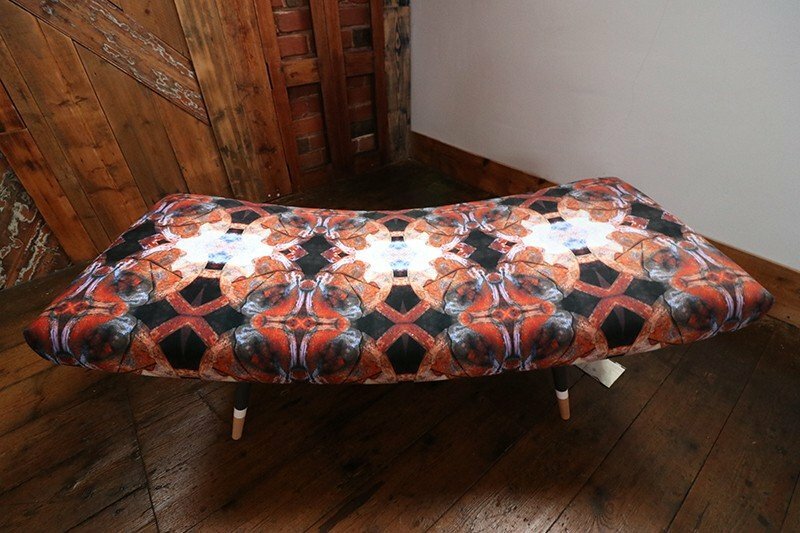 The stofa is finished with mid-century inspired legs which have been hand painted and waxed in graphite grey and white stripe design to complement the overall stofa.